A political decision to lower the harvesting limits by ten percent, for example, would be significant, says Petri Parvinen, Professor of Strategic Marketing and Management at the Faculty of Agriculture and Forestry of the University of Helsinki. ”It would naturally increase the price of timber, and that would lead to a desire to log almost as much as before the decision, both in Finland and elsewhere,’ says Parvinen. ’In Finland, though, if harvesting was reduced the industry would make negative decisions. Most of all because a stable operating environment is the very thing that makes Finland so attractive to the forest industry,’ says Parvinen. By negative decisions Parvinen refers to investments, and more precisely, to decisions not to invest in Finland. By investments people often mean the use of money for research and development, or for machinery, which is subject to wear and needs constant maintenance and renewal to maintain competitiveness. Decisions about the locations of factories or company head offices in connection with redirecting business strategy are also regarded as investments. According to Parvinen, setting restrictions for logging would be harmful for investments. 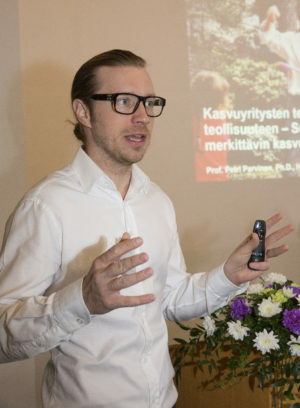 If investments in R&D decreased, an extremely probable result would be that new, wood-based products would not be developed to replace the use of fossil raw materials or other products harmful for the environment, at least not in Finland. Some of the most promising ones among them are wood-based textiles – in terms of both turnover and volume. Investments in production machinery are not necessarily needed every year. When made, however, the aim is mostly to improve all aspects of the production processes. This is being done all the time all over the world. If such investments are abandoned in one country, the effect on competitiveness will not be seen at once, but is sure to become visible in the course of time. Parvinen stresses that the profit margins in forest industry are typically very small. Speaking in relative terms, its profitability can never be high, but thanks to substantial volumes, the profit measured in euros can still be high. This can be illustrated by comparing the yield from two investments, one of ten euros, the other of one million euros. With a five-percent yield, the annual revenue from ten euros will be 50 cents, while one million will bring in 50,000 euros. Ten euros is a small investment compared to one million. It is easier to lay out than a million, but if society can guarantee a stable operating environment for the one-million investment, in the end it will bring in many more euros. In reality the differences are much greater: the forest industry operates on a scale of one thousand times one million. Still, even a small change in its profits may destroy its profitability. 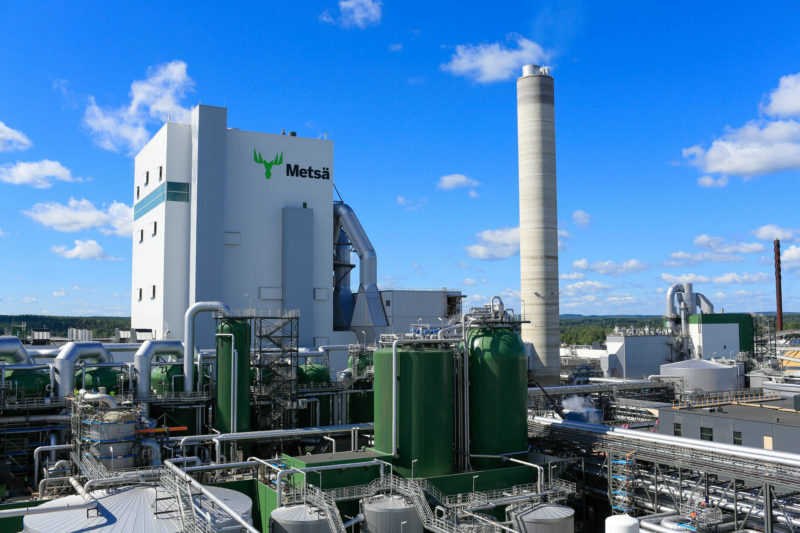 ’With decisions that concern something substantial, such as a pulp mill, company head office or buying or selling a business, even small differences are crucial, because the absolute sum in euros is large,’ says Parvinen. As good examples of this, he cites the closings of forest industry mills in Finland and, most recently, investments in new production. Parvinen says that Finland has netted an enormous sum in new tax revenues because the company tax in Finland is 1–2 percentage points lower than in its competitor countries. ’This, if anything, goes to show that very small signals have a great significance,’ says Parvinen. And on this scale, a ten-percent reduction of harvesting limits would not be rated as a small signal. ’The forest industry is a sector with large volumes and relatively small profits. A change of even one percentage point in the production factors may be significant,’ says Parvinen. Moving production from one place to another cannot, of course, be done quickly in a sector relying on giant machinery and plenty of capital. Yet long-term stability has a positive effect. ’It is wise to avoid shocks. This does not mean you are bending over backwards to please the industry, just that you understand the rules of global business. An example of this is Sweden, which is currently learning a costly lesson with the Nordea bank moving its head office and tax liability to Finland,’ says Parvinen.